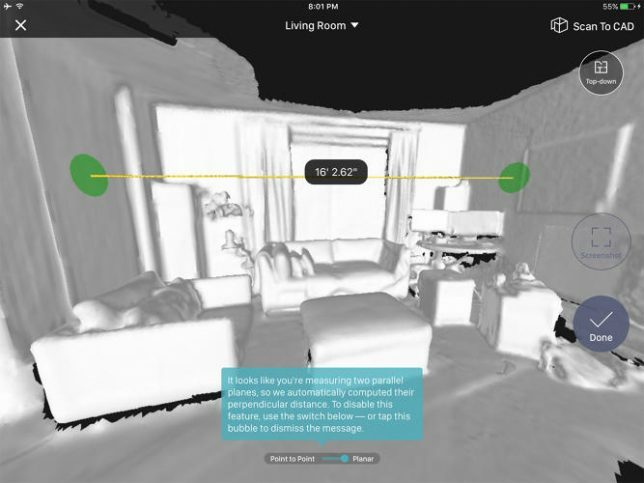 Bringing a critical gap between 3D scanning technology and functional outputs for architects, designers and homeowners, Canvas can scan a room in minutes then generate useful CAD software files. Raw scans of spaces can be helpful in terms of generating rough measurements and usable as a baseline for a more rigorous three-dimensional model, but it takes time and energy to translate between the two. So while they are great for point-to-point measurements and as-built drawings, such scans are limited in terms of letting someone rework or envision changes to a structure. 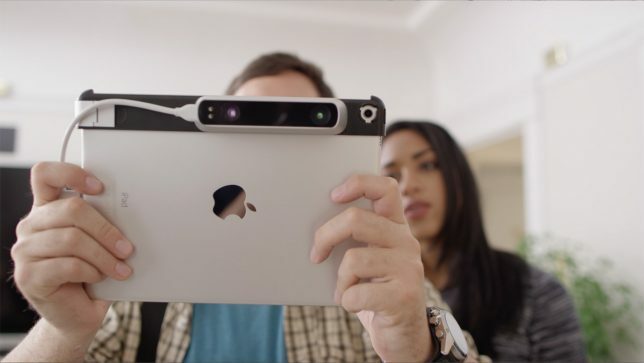 Occipital, the startup behind Structure Sensor, wants to make that transition smooth, painless and effectively automatic. After a users scans a room (or a whole house) with their iPad, they can send away for CAD files that will be returned in two business days. They can then plug those files into software of choice, like Sketchup, and begin remodeling their space. The company calls their vision “augmented home” and pictures their software and hardware getting increasingly refined over time to the point where on-the-spot shots can be immediately transformed into precise and full-color 3D files.